Add something special to your MtG card collection. Send your own cards or order direct. Signatures on proofs are great, but add a painting on them and you have something that is truly unique, and even more rare. I will put art on the back of my proof cards, or alterations on the front. 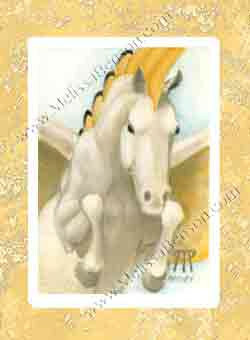 Most proof card paintings reflect the subject on the front of the card. Usually, it is a detail from the front, but not always. Sometimes it is a different perspective of that subject and sometimes, it isn’t on the card at all. But it makes sense with the image from the front. A fish, shark or serpent on the back of a Lord of Atlantis card for an example. 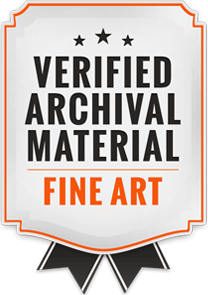 So now is your chance to expand your Magic collection with original artwork that is portable and will fit in the binders that you already have. Oh, you still need a binder? Here are some choices from my Zazzle shop. When you send your cards to me, these commissions are $60 per card for a sketch or $125 per card for an oil painting. You can purchase a proof card along with the commission. Most proof cards are $50.00 ea. There is a volume discount of 10% for purchasing multiple sets of cards at the same time. The discount applies only to the cards, not to the artwork on the back. Let's say you ordered a set of Chronicles (3 cards in the set). You would get 10% off the cards for a total of $135 (3 x 50 - 10%). If you commissioned art on the backs of all three, the total would be $315 for pencil sketches, ($135 for the cards, plus $180 for sketches) or $360 for oil paintings ($135 for the cards, plus $225 for the paintings). Go to the Proof card commission gallery for examples of these commissions. Go to the Magic Artists’ Proof card list to see which proofs are still available. 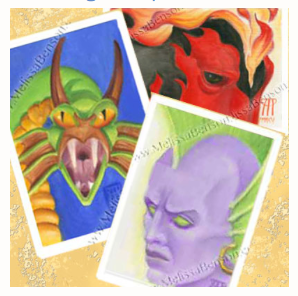 Then Email me to get your Artists’ Proof card commission on the schedule. Many of you have asked for alters on your Magic: the Gathering cards. Good news! I have finished my experiments, and I now offer this service. Because I paint in oils, these commissions take more preparation. I have to finalize the design before I begin so I can mask off everything but the section to be painted. Then multiple coats of the "primer" go down. Alter commissions on your cards are $75 per card. These are more expensive because they require extra time to produce. Have something in mind? Email me now to get your commission going.